Things are really hotting up now! The tradestand lanes have been choc-a-bloc with vehicles dropping off more merchandise than we've ever seen. The stables are now a hive of activity with grooms unloading horses , tack, rugs and enough paraphernalia to keep a horse for a month let alone a 3-day-event. I didn't spot any kitchen sinks though! These grooms really do do a fantastic job - just take a look at the shine on the coat of Clayton's Fredericks mount, The Frog (see Clayton's Wednesday Video Diary). One of the big stories for the 2010 event is of course the comeback of Mark Todd. 10 years since he last competed here, and he's as focussed and on form as he's ever been. Will he make it a dream comeback? Well keep an eye on our website and Mark Todd's Badminton Video Diaries to find out. 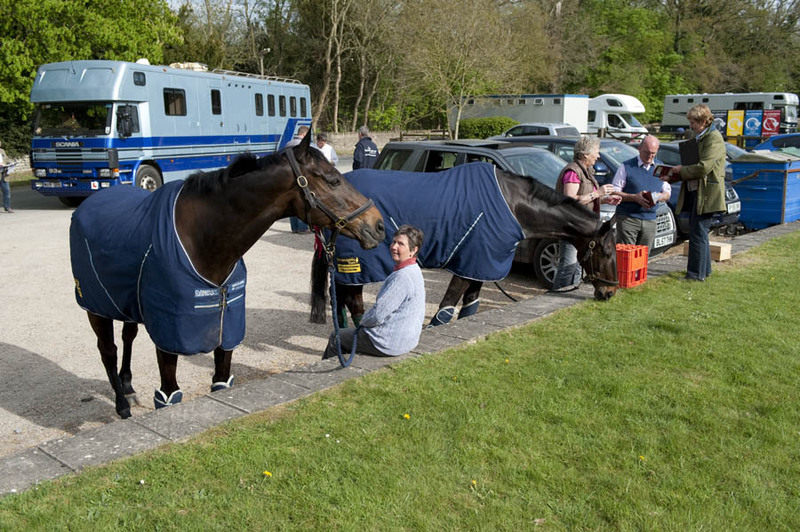 As the sun sets over Badminton tonight, the activity continues in the lorry park as competitors feast on barbecues entertaining their owners, grooms, and each other. The event starts in earnest tomorrow with the first inspection at 4PM, and no doubt all the competitors will be walking the course tomorrow afternoon after the Rider's Briefing.